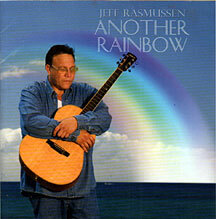 Jeff Rasmussen has compiled an eclectic resume over two decades as a recording artist, studio musician, record producer, songwriter and cover-band member. "Another Rainbow" shows off his talent in all in those areas. He performs as lead artist on most of the 13 selections but lets other artists dominate on several. He steps forward as a singer-songwriter for "Wai'anae" and "A Song For My Brother," honors tradition with "Kamakani Ka'ili Aloha" and revives Israel IZ Kamakawiwo'ole's ode to marijuana with "Pakalolo." "Hawaiiloa Holomua" stands out as a song on which Rasmussen does "everything you hear." Like most of the others, it is a good example of his multitalented approach as a recording artist. One mystery regarding these recordings is their vintage. One dates from the '90s; the history of the others is uncertain. It has been so long since Bill Kaiwa last recorded that this economically packaged album would be welcome for that reason alone. His voice and his command of the language make him an important figure in Hawaiian music, and that musical magic shines throughout his work here. The arrangements, by co-producer Steven Hall, are appropriately traditionalist, as well. Hall, Kenneth Makuakane and two steel guitarists suffice as his musicians. When judged solely by the quality of the music, this is good work. Unfortunately, "Na Halia" is only half the album it should be. 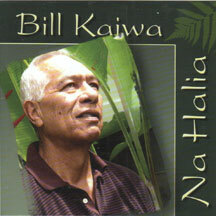 Kaiwa has spent much of his life conserving and preserving the knowledge of Hawaiian music and language he acquired in his youth. Documenting such information is a crucial part of any Hawaiian music project, yet the label doesn't include basic composers' credits, let alone lyrics, English translations or historical significance. Nor does it provide a reference for where the information can be found online. Del Beazley uses his ancestors' language in celebrating his Christian faith. Some of the melodies will be familiar, but he's singing Hawaiian lyrics rather than English. Hawaiian-speakers will understand the lyrics, but with arrangements closer to pop or rock than "church music," most listeners will simply enjoy his work as arranger and vocalist -- and have no idea these are Christian songs. 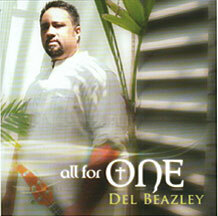 If the Hoku Awards had a category for arrangers, Beazley's work here would make him a front-runner to win it. Beazley embraces a larger audience with bilingual renditions of "Holy Ground" and "God Sent An Angel," a song he wrote for his granddaughter.